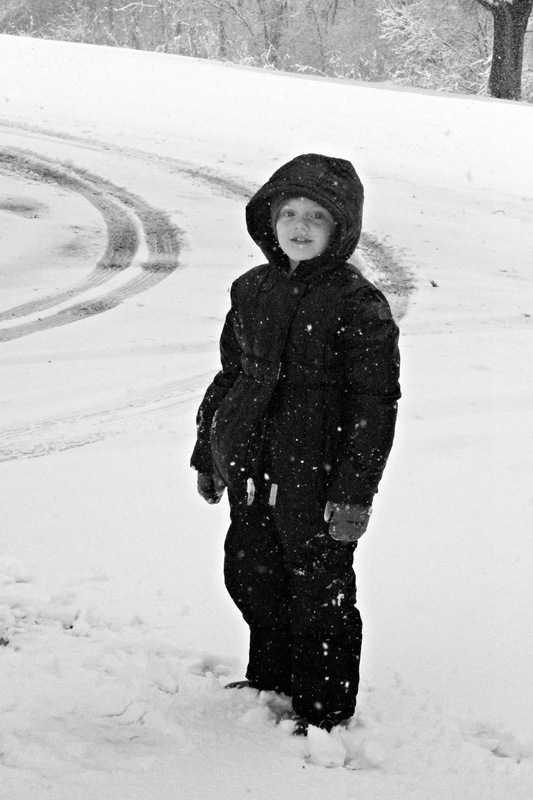 We waited with anticipation for the first big snow of winter. It happened to fall on the eve of February 1st. I woke this morning, looked outside and breathed it in. So white. So crisp. So clean and untouched. The silence was beautiful. The snow fell all day. 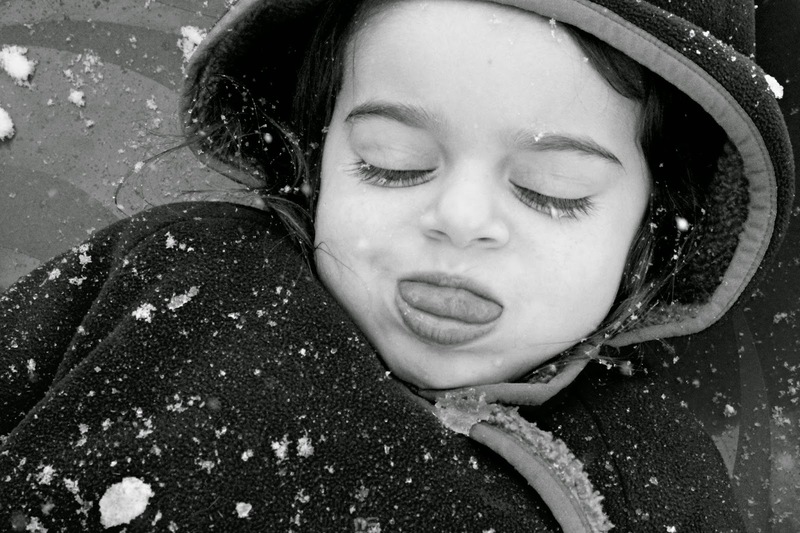 February is kind of a hard month for me so today I welcomed the snow with wonder. It felt as if the Lord opened up the Heaven's and sprinkled down just the right amount of happy in our little piece of the earth for this very day. Happy February, kid. You're doing it. Two years ago at the end of this month is when our world as we knew it changed. I remember the oblivion I was living in. I remember it all so clearly. I was simply raising and homeschooling my bigger children while caring for my recently diagnosed with a terminal disease youngest child. We were still actively doing therapies and I was wrapped up in research. It was a time of busyness but not necessarily a time that felt out of the ordinary. I had no idea the amount of discontent and disconnect that was happening in my home; specifically in my marriage at that time. It's sad for me to think back about how unaware I was. I was just really happy doing what I was doing. 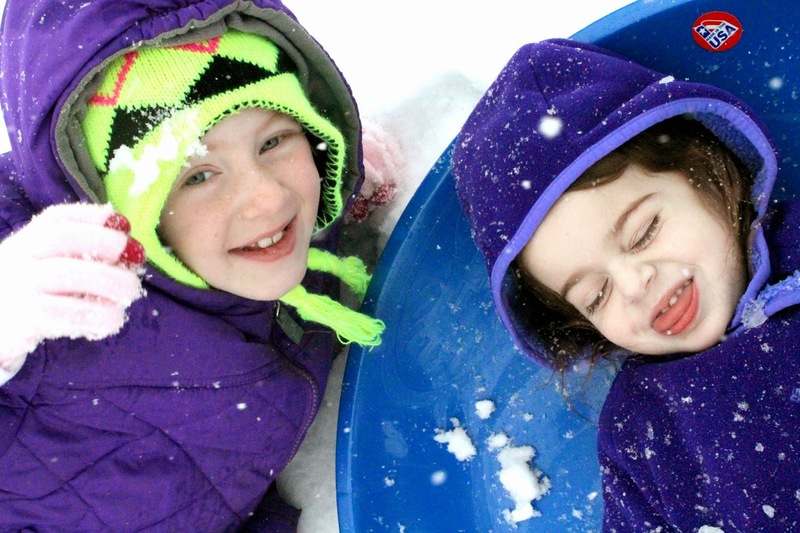 Enjoying simplicity and very common daily tasks: sledding, schoolwork, baking cookies, having dance parties, bedtime stories, and wake up routines. It was mundane and difficult but it was mine and I was really very happy doing it. I was sad about Mabel, yes. I had spent nearly two years questioning everything about everything before her diagnosis. But when the call came, so did a freedom from those questions and in this month, 2 years ago, I can honestly say I was better. And now, 2 years past the trauma and pain of it all, I can honestly say I find it difficult to find words to fit into the pieces of a life that I once lived but no longer recollect vividly. Absolutely I have memories of the children and I in our old home. I have memories of my village and I in the front yard of that old home. I have memories of nursing babies, and befriending therapist after therapist. I have memories of adopting Heidi and watching her run through the house, escaping out the door and me having to chase her through the neighborhood. I have memories of crayons on the walls and mouse after mouse in the traps. I have memories of babies crawling, walking, running and bicycling down the driveway. I have very painful, etched-so-deep-into-me memories of lonely nights, crying and thrashing for the life of my baby. I have memories of laughter and music and dancing and praying and cupcakes and gingerbread houses, and Christmas mornings, and Easter egg hunts and fall decorations and garage parties with friends. But I cannot for the life of me place myself back into those memories or back into that life in a way that really makes sense anymore. I am grateful for our minds; for the memories that we are able to make and maintain. But I am also grateful for the heart. For it's ability to heal, more forward and love again-smarter, better, more prepared and less fearful. I am thankful for our body's ability to go into literal shock and box away the too-painful stuff for another time; maybe later, and maybe never. Either way, I am glad. Sometimes it's too much 'stuff' and there's just not enough strength to muddle through it. Or maybe there's enough strength but it just needs to be allocated elsewhere. And that is absolutely ok. In my case, it wasn't just ok...it was necessary. February is here and it just gets me thinking. Thinking about a time when life was so much different. It was so much less joyful. It was so much less enjoyable. It was painful and cold and lonely and confusing and sad. But it wasn't the end. I wasn't going to let one bad February and one bad March define me or the lives of my children. I was going to be ok and I was going to forgive and love again. I was going to do the things that I loved with the people that I loved, and take care of myself and the kids in ways that I not only know are right, but essential. And I was going to do all of that with the hope that God would reward my life because He promises to do so if we simply trust Him. I never cared if I would receive that reward here on this earth but I always knew that facing eternity one day, I would be able to do so with confidence for the choices that I have made along the way. This February, 2015, looks a whole lot different. We are in a quaint little home but are about to make yet another, more permanent move. Nora is 8 and is incredibly emotional, sad, fragile, smart, and complex. Braden is 7 and is incredibly funny, loyal, busy and loving. Mabel is 4 1/2. An age I didn't know that we would see. She is long and grows more every day. She still smiles and taps. Yesterday she said 'mom' on purpose every time I asked her to. I am more content, more joyful, more peaceful, more calm and more in love than I have ever been before. I am thankful for every single step I have taken since the beginning of February 2013 because every step has strengthened me, prepared me, equipped me and thrust me further into a life that I was perfectly designed to lead. The snow today was so beautiful. 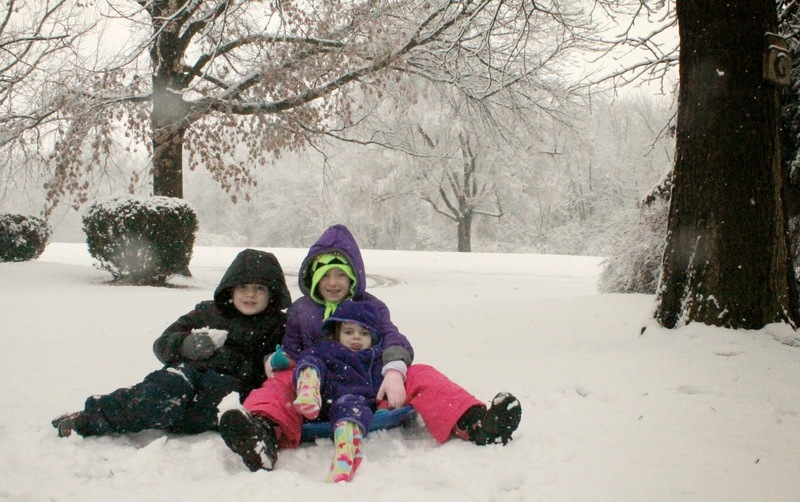 My children, all together, wrapped up in one another, playing on top of it's softness was overwhelming. I am so grateful for every little thing that Nora and Braden get to experience with their sister. I never take a snow day for granted, that's for sure. 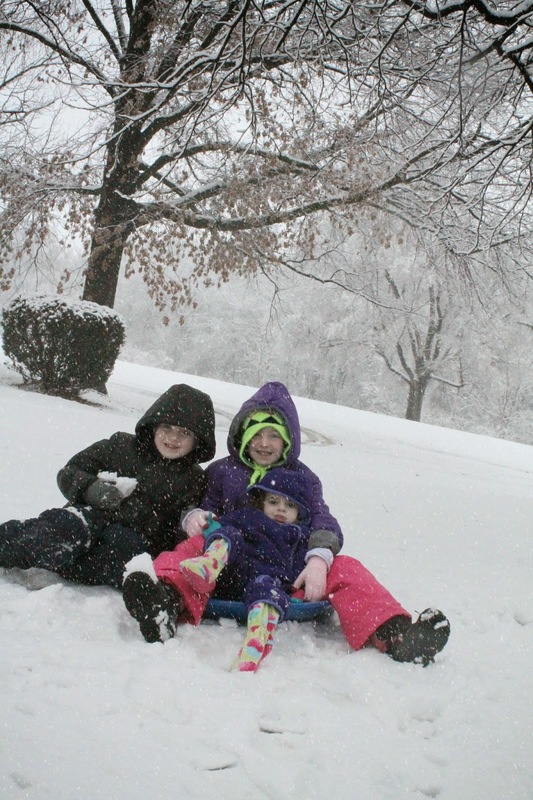 And this one, this February 1st snow day, was extra special for me. Just look how far we've come.